A recent study, Public Health England (2013) Progress in Breastfeeding in London, has reported that one of the main reasons women identify for stopping breastfeeding is perceived or experienced difficultly when breastfeeding in public. 63% of breastfeeding mothers report that they have received unsupportive comments while breastfeeding in a public place. In England, breastfeeding initiation rates are around 83%, but within one week the number exclusively breastfeeding drops to 46%, and by six weeks it has reduced to 22%. At six months, less than 1% are breastfeeding exclusively (Infant Feeding Survey, 2010). National guidance encourages commissioners, service managers and providers to ensure strategies are implemented locally to support women to breastfeed, to deliver services that support women to make positive infant feeding choices and to ensure that these services are evidence based and economically sound (Department of Health, 2012). One of these strategies is the adoption of NCT’s Breastfeeding Welcome Scheme, now adopted in over 20 PCTs across the UK. 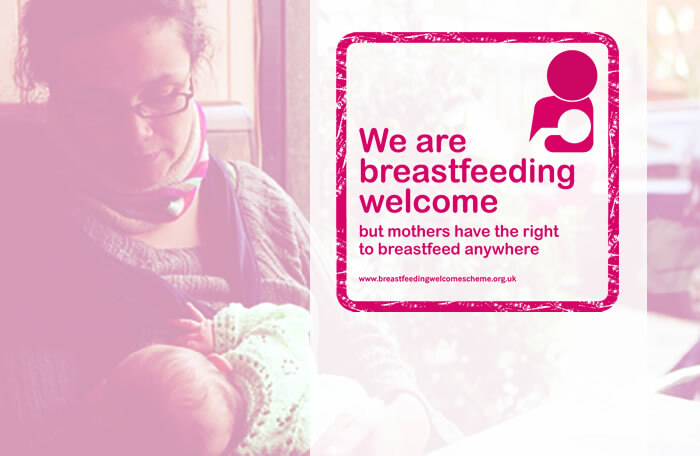 With more venues “welcoming” breastfeeding mothers, it is hoped that they will be encouraged to continue to breastfeed their babies for longer. The benefits of breastfeeding are well established through global and national evidence: breast milk provides all the energy and nutrients that a child needs in its first few months of life, promoting a strong immune system as well as sensory and cognitive development (Ip et al, 2007; Horta et al, 2007; Quigley et al, 2011). The Breastfeeding Welcome Scheme is just one of many NCT initiatives which supports breastfeeding mothers.